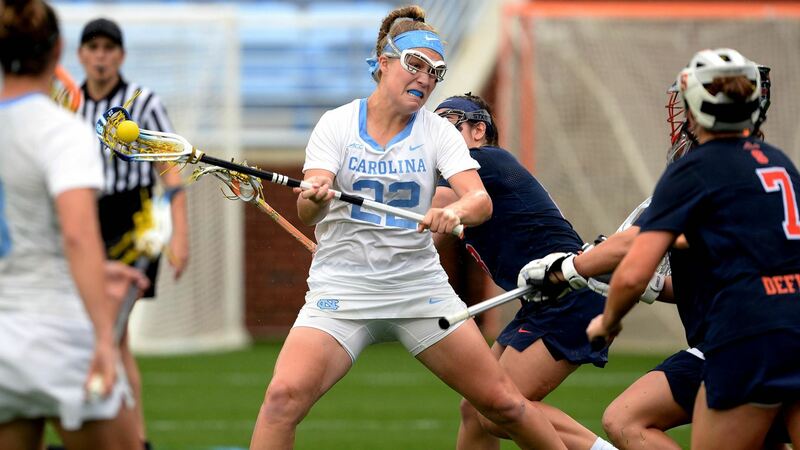 An impressive display from the sixth-ranked UNC women’s lacrosse team on Saturday in Chapel Hill had the Tar Heels putting on an absolute clinic in an 11-5 victory over the No. 3 Syracuse Orange. Freshman Tayler Warehime had four goals to lead the Tar Heel offense, while Kara Klages added three goals and Gianna Bowe chipped in two to represent the large majority of UNC’s scoring. Katie Hoeg was responsible for setting up over half of UNC’s goals as she tallied a goal and a career-high six assists. Defensively, the Tar Heels (11-3, 4-2 ACC) were locked in as well as they held Syracuse (13-3, 5-2 ACC) to its lowest goal total of the season–the first time the Orange have been held below 10 goals all year. A rivalry showdown against Duke in Durham awaits the Tar Heels in their next match on Friday night at 7 p.m.